The Wright Wreport: Hitting That Marijuana Joint Is Better Than Hitting Your Spouse, No? 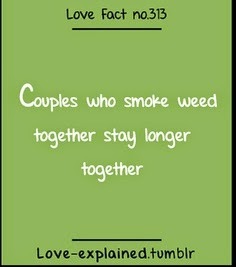 Hitting That Marijuana Joint Is Better Than Hitting Your Spouse, No? 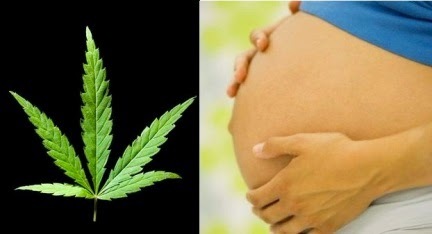 Some believe that marijuana use can have an adverse effect on fertility. Archive image. TAKE a drag off of this: There is less domestic violence among couples who smoke dope. No, I'm not high, I have not been smoking anything. A group of researchers at University at Buffalo School of Public Health and the Health Professions and Research Institute on Addictions (RIA) discovered as much. They published an article about it in the August online edition of Psychology of Addictive Behaviors. Can't you just hear the cheers from Camp pro-marijuana camp and the jeers from Camp anti-marijuana. Of course, this study is totally set apart from the medical marijuana debate. Incidentally, marijuana use is legal and regulated in 23 states and D.C. Just this year Maryland, Minnesota and New York legalized marijuana. But – this study – talk about stirring the pot! Led by Dr. Kenneth Leonard, director of the UB Research Institute on Addictions, researchers studied 634 couples in hopes of clarifying inconsistent findings of previous studies looking at domestic violence among couples that smoke pot. Researchers followed couples over the first nine years of marriage. One of the key findings: There was the least incidence of what researchers term intimate partner violence (IPV) among couples in which both spouses smoked marijuana. All sides should bear in mind several important points about these discoveries. “These findings suggest that marijuana use is predictive of lower levels of aggression towards one’s partner in the following year,” lead researcher KL cautions. “As in other survey studies of marijuana and partner violence, our study examines patterns of marijuana use and the occurrence of violence within a year period. One other key finding: When both spouses used marijuana at least two to three times a month, there were fewer incidences of IPV initiated by husbands. The study does not address likelihood of violence in real time. “It does not,” KL points out “examine whether using marijuana on a given day reduces the likelihood of violence at that time. A third key finding: Wives were less likely to initiate IPV if their husbands used marijuana. Obviously, one should not infer from these findings an endorsement for or against marijuana use for recreational or medicinal purposes (though some will). Yet, there is some suggestion that if you take a hit off of a joint with some regularity, you may be less likely to hit your partner. Visit http://www.medicalmarijuana.procon.org/ to learn more about the medical marijuana debate.